You wouldn’t think of rubbing nail polish remover, antifreeze, or embalming fluid on your face. Yet these chemicals are pervasive in personal care products, including facial toner, cleansers, and more. To help you avoid such toxins – which can damage your overall health and your bones significantly – I’m thrilled to bring you three do-it-yourself natural alternatives to cleanse, tone, and lubricate skin without the harmful toxins. 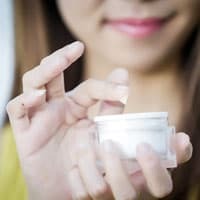 But first, let’s take a closer look at just what goes into the commonly sold “skin care” product. What Are You Really Putting Onto Your Skin (And Into Your Body)? Cosmetics, except for certain natural brands, are a significant source of toxin exposure, so avoiding them is a good place to start in order to reach your detoxification goals. To help you achieve this, I want to reveal the ingredients commonly found in popular brands of skin care products. Propylene glycol is a petroleum-based, industrial chemical frequently used in antifreeze and automobile brake fluid. It has a slick texture, so it’s added to personal care products like shaving cream, deodorant, moisturizers, and hair conditioners. Like glycerin, propylene glycol is a humectant, a substance that helps retain water. Unlike glycerine, however, propylene glycol is a known skin irritant that can cause hives, redness, and irritation. Acetone is the main ingredient in nail polish remover, a highly corrosive substance. Nonetheless, acetone’s ability to evaporate quickly makes it a fairly common ingredient in facial toners and astringents. Formaldehyde is the preservative of choice for funeral directors and science teachers. It’s classified as a carcinogen, and can cause respiratory irritation. Yet manufacturers add it to facial cleansers, toners, and other skin care products to impede bacterial growth. As you’ll soon see, there are natural substances that can replace it without the toxicity. Also, watch for “FRP” on ingredient lists. This is an acronym for “formaldehyde-releasing preservative” and is used for the same purposes as formaldehyde. Triethanolamine is sometimes abbreviated TEA, but you won’t want to brew a cup of this poison. It’s used as an emulsifier to keep oil and water from separating. But it’s also a skin irritant and carcinogen, thanks to frequent contamination with nitrosamines. 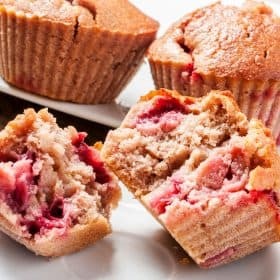 Because of its emulsifying properties, TEA is frequently used in foamy products like shaving creams and gels, often alongside two other toxic chemicals, DEA (diethanolamine) and MEA (monoethanolamine). TEA is an endocrine disruptor as well as a carcinogen, and is readily absorbed into skin. Sulfates (Sulphates) such as sodium lauryul sulfate, ammonium laureth sulfate, and sodium laureth sulfate are extremely common additives in personal care products, from facial cleansers to shower gels to shampoo. Sulfates enhance foaming and lather, and are even found in toothpaste. They are very irritating and dehydrating for skin, and they also mimic estrogen. Sulfates can cause lung and eye irritation, and they contain carcinogenic nitrosamines (like TEA). Polytetrafluoroethylene (PTFE) is used in many shaving gels, and, as its name denotes, it’s a fluoride-containing chemical used to make non-stick coating on cookware. Because of its hormone-disrupting properties, it has been linked to early menopause and even breast cancer. 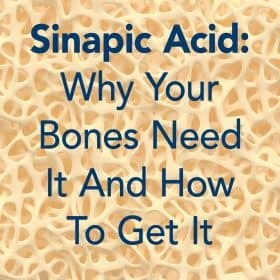 It has also been implicated in osteoarthritis and heart disease. Polytetrafluoroethylene’s danger lies primarily in the inhalation of its heat-activated fumes. Nonetheless, this is a chemical that is best avoided. Various chemicals such as endocrine-disrupting parabens, artificial colors, and fragrance are also common additives in personal care products. Here’s how simply applying these products on your skin can hurt your bones. Your skin is the largest organ in your body, and it is quite absorbent. It also acts as a filter to keep out harmful microbes. In the case of toxic chemicals, however, the skin can’t filter them out because other ingredients are added to the product to enhance absorption. Once these toxins are absorbed and enter the bloodstream, they can harm your bones in several ways. The most significant means by which they cause damage is by acidifying your body’s pH, which leads to calcium loss and weaker bones. Additionally, toxins pose a tremendous burden on the kidneys and liver, which are your body’s primary detoxification organs. And, as Savers know, these organs have much to do with bone health. 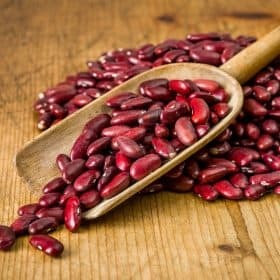 For one thing, the liver manufactures and secretes bile, which is required for the proper uptake of fat-soluble vitamins like K, A, and D. These are vitamins your bones must have in order to renew themselves. In addition, the liver releases important enzymes into the bloodstream that are required to transport nutrients to your bones (and other organs). The kidneys are also pivotal in bone health. Without their constant balancing of your body’s pH, it can lead to acidosis. If they’re taxed from toxin exposure, then poisons can build up and compromise the strength and integrity of your bones. One easy way to avoid these dangerous substances is to make your own 100% natural, non-toxic versions of popular skin care products. Here are three recipes just in time for the holidays. Place all ingredients in a glass jar or bottle and shake well to combine. Use a cotton ball to apply toner to your face after washing twice a day. Note: if your skin is oily or prone to acne, use half water and half vinegar rather than the two-to-one ratio above. Cut up the cloth into small squares, about 2 inches square. In a medium-sized bowl, mix all of the ingredients together. Add the cloth squares to the bowl and let stand while the cloth absorbs the liquid. Place cloth squares in the glass jar and cover. These can be stored at room temperature, or in the refrigerator if you want them to be extra refreshing. Place coconut oil and cocoa butter in a double boil and melt over low heat. Pour the melted oils into a small bowl. If you do not have a hand mixer, place the oils in the mixing bowl of a stand mixer. Add the rest of the ingredients to the oils and whip until fluffy, using a hand-held mixer or the egg white attachment of your stand mixer. If you don’t use all of this at once, store any leftover shaving cream in the refrigerator and soften before use. As you take steps to cleanse your body of toxins and minimize exposure to them, knowing where to start is really helpful. It makes your detoxification goals much more realistic, increasing motivation and boosting confidence. 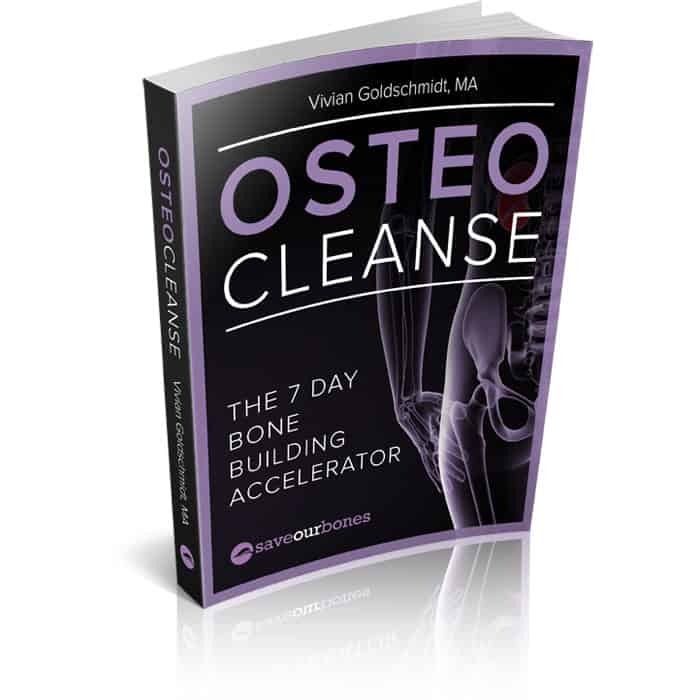 OsteoCleanse™, The 7 Day Bone Building Accelerator, gives you clear, step-by-step guidance and walks you through each of the six steps. It also includes delicious recipes and complete shopping lists. One of the steps in OsteoCleanse™ involves detoxifying through the skin, so the above DIY products are the perfect addition to your cleanse week. I am make up artist and working with make up and skin care all the time .and of course I have osteoprosis as well . Any suggestions for me ?? It must be interesting to be a makeup artist, Vida! I hope you’re able to work with natural ingredients in the products you use. 🙂 If you need ideas, feel free to search this site – we have several posts on bone-healthy skin care. Where would I look for Pure Have Essential Products? And do they have foundations? Tried the shaving cream and loved it. Thank you Vivian. Happy Holidays!! I am so glad to hear that, Ruben! I love these do it oneself projects! Thank you Vivian, and happy holidays to all! You’re welcome, Judy! I wish you a happy holiday season, too. Can you use Jojoba oil in place of sweet almond oil for the cleanser? That should work fine, Tracey! Thank you for your kind words – you are very welcome. As for exactly what OsteoCleanse will do for you, it’s impossible to say; there are just too many variables. But I can tell you that OsteoCleanse helps the liver as well as the kidneys, and is an overall detoxification program that many have found helpful. recommend the osteo caps for me. That should read… Pure Haven Essentials. Thanks, Vivian. Pure and healthy skin care products are so important. For this reason I use Pure Have Essentials products. I agree Rochelle. Healthy skin care is very important, but easy to overlook!